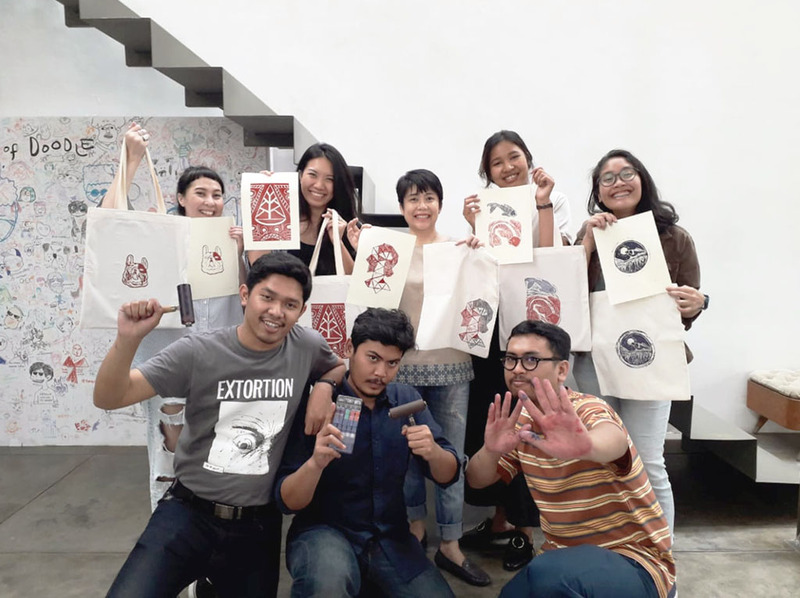 Grafis Huru Hara (GHH) is a Jakarta based artist collective that is active in the creative field in Indonesia. 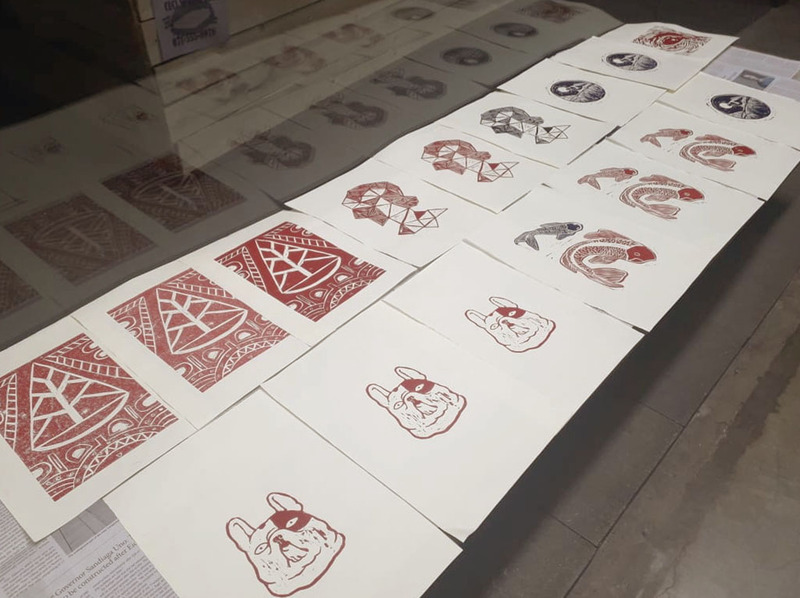 Founded in 2012, GHH uses printmaking as the main medium to foster art foundation through exploration, experimentation and education. 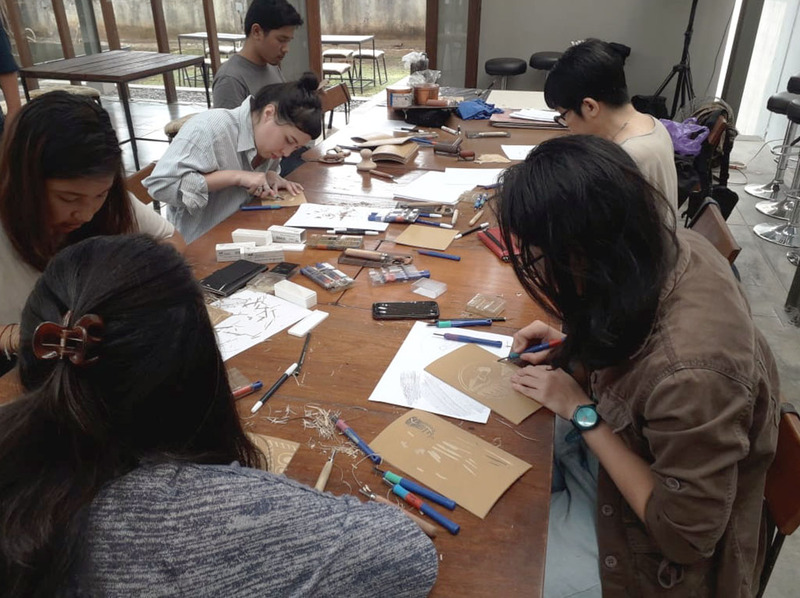 In this workshop, GHH opened a printmaking art class for those who are interested in learning printmaking techniques manual print, Lino Cut. 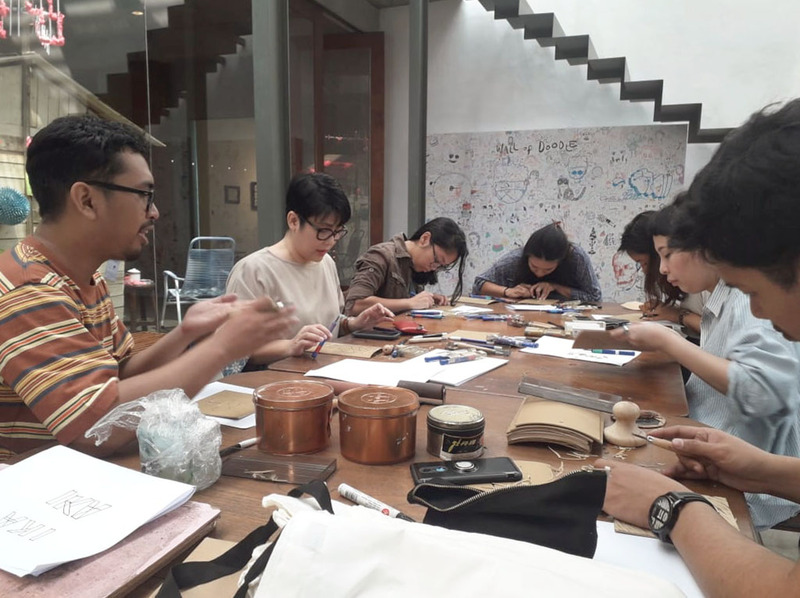 This workshop was held on Saturday, 4 August 2018.